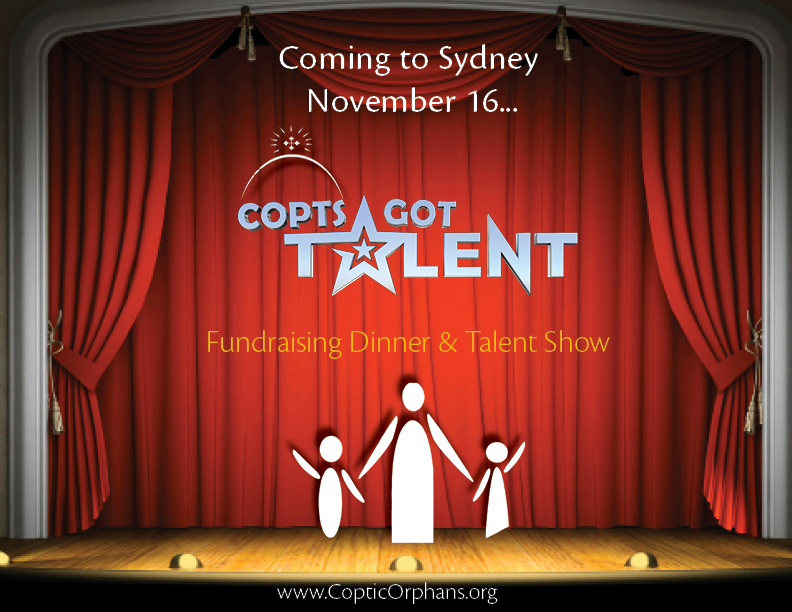 Join Coptic Orphans for dinner and a talent show. Copts Got Talent shows the many talents Copts in the Diaspora have to "seek justice for the fatherless" in Egypt (Isaiah 1:17). To get tickets visit www.CopticOrphans.org, call 02 9787 9777 or email info@copticorphans.org.